I have been to Vermont and Massachussetts, but my time there has been too brief to gauge how well director Kenneth Lonergan’s film captures the New England atmosphere. But capture something it certainly does, a type of melancholy that is not altogether tied to the plot but rather to the place itself, with its fishing boats, hockey rinks, and boozy hangouts. It is cold here, and if you’re working class, life ain’t easy. 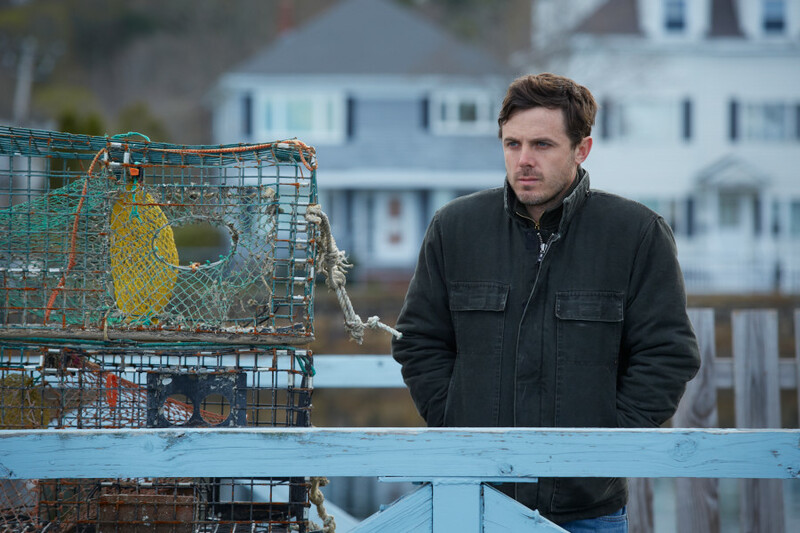 Onto this setting Lonergan introduces us to janitor/handyman Lee (Casey Affleck), a man whose solitary existence is shaken when news of his brother Joe’s death (Kyle Chandler) forces him to return to the town of Manchester-by-the-Sea and reconnect with not only his teenage nephew Patrick (Lucas Hedges), but virtually his entire past. And a turbulent past it is indeed: Through flashbacks we learn Lee was once married, and that he accidentally set the house on fire while drunk one night, killing his three children. Riddled by guilt, Lee moved away, essentially quitting from life itself. Manchester by the Sea is too aware of its style to hit home completely – the use of classical music didn’t work for me, and while the acting is good, you can tell much thought has been put into making the interactions as authentic as possible (for an example of a more accomplished naturalistic approach, check out 2014’s Mr. Turner). Still, as Lee accepts that he really can’t put his tragedy behind him – that it will forever consume him, even as he finds a way forward – Lonergan’s compassion for his characters comes through: A scene between Lee and ex-wife Randi (Michelle Williams) in which they try to speak for the first time about the incident that broke them apart is both beautiful and heartbreaking. And that’s close to life indeed.